Joint Entrance Exam is commonly known as JEE. JEE Advanced is the popular exam organised by the seven zonal IITs under the guidance of Joint Admission Board (JAB). The JEE Adv is conducted by the IIT Kanpur. It is a national level entrance examination. Joint Entrance Exam (JEE) Advanced is the second stage of JEE. There are two stages in JEE Exam. Through this exam, the authorities will provide the admissions into B.Tech, Integrated M.Tech or B.Tech-M.Tech Dual Degree in Engineering, Architecture, Pharmacy & Science in IITs and ISM. The IIT Kanpur every year conducts the JEE Advanced for the admissions into B.Tech programs in 23 Indian Institute of Technology (IITs). JEE (Advanced) 2018 Notification is out right now. Joint Entrance Exam is the gateway for the candidates who want to take the undergraduate and postgraduate engineering programs. Interested candidates can check the JEE Advanced notification details such as eligibility, IIT entrance exam 2018 dates, application form, etc. carefully. Eligible candidates can download the online application, fill & submit the application form through online before the deadline. The JEE Advanced Notification 2018 is released by the Joint Admission Board (JAB). JEE Advanced Application form is available through online from 2nd May to 7th May 2018. 2,20,000 students who have qualified in the JEE Main 2018 are eligible to take the JEE Advanced. In 2016, only 2 lakhs top candidates of IIT JEE Mains have appeared for JEE Advanced Exam. The details of Joint Entrance Exam Advanced 2018 such as eligibility, exam dates, application form, courses, etc are provided through the below sections. Candidates can go through the entire article without missing a single word to get the complete information of JEE Advanced 2018. The courses offered for the qualified candidates of JEE Adv 2018 are as given below. All the applicants of JEE Advanced Exam 2018 have to ensure the following eligibility before filling the application form. Performance in JEE Main 2018 Exam. Aspirants who want to appear for JEE Advanced 2018 should have completed the 12th class or intermediate securing minimum 75% marks (for Gen/OBC) and 65% for SC/ST/PWD candidates. Contenders should be in the top 2, 20,000 students by scoring positive marks in JEE Main 2018 Paper-I. Candidates who born on or after October 1st, 1992 are eligible to attend the JEE 2018 Exam. The age relaxation of maximum five years will be provided to SC/ST candidates. Reserved candidates should be born on or after October 1st, 1987. Candidates can attend the JEE Exam two times in the consecutive years. Applicants who have appeared for the exam in 2016 are also eligible to apply this year. The JEE Advanced Online Application 2018 will be available from 2nd May to 8th May 2018. Aspirants have to register through online in the JEE Advanced official portal. Then fill the application form before the last date. The application procedure consists of the following steps. The officials have decided to conduct the exam at the following seven IITs zones. While filling the online application form, candidates have to choose the three cities/towns in India along with the different countries where to take the exam. The JEE Advanced 2018 Examination Centres are as follows. The JEE Advanced 2018 Examination Centres are as follows. The JEE Advanced Syllabus 2018 is different for engineering and architecture aspirants. So, all the applicants have to check once before starting the preparation for the exam. For Engineering Exam: The JEE Advanced 2018 Syllabus comprises of three sections such as Mathematics, Physics & Chemistry. For Architecture Aptitude Test (AAT): The JEE Advanced 2018 AAT syllabus consists of the Mathematics, Aptitude Test & Drawing Test. The Exam pattern for the candidates who have applied for the JEE Advanced 2018 exam is as follows. The JEE Advanced 2018 Exam is two papers i.e., Paper-I & Paper-II. 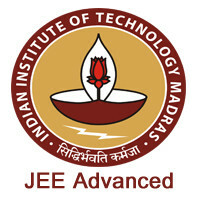 The JEE Advanced Paper-I is conducted from 9 AM to 12 Noon. Paper-II is held from 2 PM to 5 PM. It is mandatory for the candidates to attend for both the papers. The exam is of online (computer based) or offline (pen & paper based) test. The question paper consists of objective (MCQ) type questions. Exam paper is of Hindi & English language. There is negative marking for some questions. The exam pattern for AAT 2018 Architecture Aptitude Exam is as follows. AAT Exam is held in offline mode only. The question paper consists of only one paper. The exam paper consists of objective type questions. AAT Exam duration is 3 hours. The medium of the exam is English only. Candidates have to utilise the JEE Adv Previous Papers in your preparation. Before starting the preparation, candidates should have the clear cut idea regarding the syllabus & topics to be covered in the exam. The syllabus provides the subject wise & section wise topics. So, candidates have to go through it to get the clarity about the important topics to prepare for the exam & neglect the other topics. The JEE (Advanced) Admit card 2018 is available through online from 14th to 20th May 2018. Candidates who have submitted the online application have to download the JEE 2018 Hall Ticket from the official website by entering registration number. IIT JEE Advanced 2018 Admit Card consists of the following details. You remember that the officials will not send the admit card to the individuals. Candidates have to download the Joint Entrance Exam 2018 hall ticket ourselves to attend the exam. JEE Advanced Answer Key 2018 will help the candidates to cross check the answers marked by them in Paper-I &II are correct or not. Joint Entrance Exam Advanced provisional answer key is released by the IIT Kanpur on 29th June 2018. Through the answer key, candidates can estimate their performance and also know the colleges that offer the admissions for the JEE 2018 rank. Candidates who have secured minimum cut off or more than cut off marks are considered to be qualified in the exam. The JEE Advanced Cutoff will vary based on various factors such as category, no of seat availability, no. of candidates applied, no. of students appeared for the exam, etc. The expected cut off marks in JEE Main 2018 to appear for Joint entrance Exam (Advanced) is as follows. The JEE Advanced 2018 cut-off or closing ranks for different IITs across India is announced by IIT Kanpur. The JEE Advanced Result 2018 is declared by the officials on June 10th, 2018. Soon after the announcement of JEE Result, candidates are able to check the All India Ranks (AIR), category wise rank, score, etc. The IIT Result 2018 for AAT Exam will facilitate the candidates to take the admissions into B.Arch courses or programs. The examinees have to enter the roll number, date of birth, mobile number in order to check your result. The JEE (Advanced) 2018 Rank List is published through online by the officials. The JEE Adv Merit List is prepared on the basis of the AIR secured by the candidates in the exam. Candidates have to enter the roll number & other login details to download the rank card/rank list/merit list through online. The JEE Advanced Counselling is organised by the Joint Seat Allocation Authority (JoSAA) from June 2018. The qualified candidates of JEE Advanced Exam 2018 are offered B.Tech Admissions in 10, 572 undergraduate engineering colleges across 23 IITs. Candidates who want to get the admissions in the B.Arch programs are required to qualify the AAT Exam. JEE Adv 2018 qualified students are only eligible to attend the Architecture Aptitude Test (AAT). There is no separate rank list prepared for the AAT qualified candidates. The admissions into the architecture colleges are provided through the rank obtained in JEE Advanced 2018. JEE Advanced Counseling and Seat Allotment Process involve the following steps. JEE Advanced 2018 Participating Institutions will offer the admissions to the qualified candidates. Candidates will get the seats in the undergraduate engineering courses on the basis of JEE Advanced 2018 Rank. There are 23 participating colleges that will provide the admissions in 10,572 undergraduate seats. The following institutions also offer the UG courses through JEE Advanced Score 2018 apart from 23 participating colleges. The seats are reserved for the applied candidates as per the rules of Indian Government. The reservation for the different categories is as follows. The complete details are shared here through this article. For any more information of JEE 2018 Exam, candidates can contact the officials through the below address provided. We hope that our unit has covered the detailed information regarding JEE Advanced 2018 Exam up to our knowledge through this page. Also, we will update the further details as soon as possible. So, we advise the candidates to stay connected to our site to get the latest updates of all India entrance exams. Candidates can also refer the official site provided below for any other information of JEE Advanced 2018. The important download links for all the categories such as exam dates, admit card, rank card, results, web options are provided here in the below table. Candidates can utilise the information regarding Joint Entrance Exam (Advanced) 2018 gathered on this page for your sake.